KC Grande Resort & Spa is located in White Sand Beach on Koh Chang in Thailand. This luxury resort offers wedding parties on the white beach under coconut palms and deluxe rooms for great honeymoon in Southeast Asia. KC Grande Koh Chang is direct in the village of White Sands. The tourists who stay at this hotel enjoy walking at long the beach road with many restaurants, souvenir shops and bars. The exclusive and private atmosphere of KC Grand Koh Chang invites to read a book on the beach or take a bath in the beautiful swimming pool. The sea view suites and luxury rooms of this Ko Chang resort offer a good view to the colorful sunset on the horizon of the ocean. 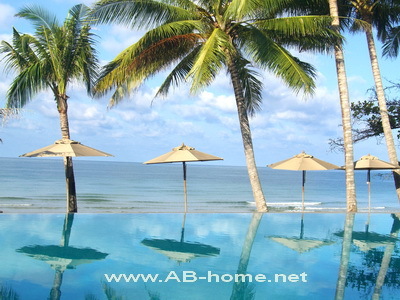 KC Grande Resort Koh Chang is as well a good accommodation choice for families with children. KC Grand Resort is perfect for luxury beach holidays and deluxe vacations on White Sand Beach on Ko Chang Island in Thailand. 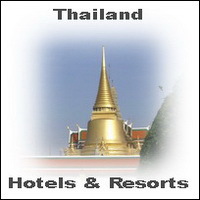 Here you can book selected Koh Chang Resorts and Accommodation.